University Librarian, Dr Md. Zahid Hossain Shoeb outlined the strength and facilities of NSU Library mentioning the effective use of Main Study Hall, Cyber Center, Reference Section, Periodical section, Researchers Area, Archival Section, Quiet Study Area, General Study Area and Faculty Corner, which offering a calm, quiet, neutral space, where NSU Library users can access resources and information for work, research or leisure. Unlike these areas, students have a high affinity to the large Study Hall due to group discussion facilities. Dr Zahid also discoursed that NSU Library is the pioneer of using state-of-the-art RFID technology and e-resource subscription. He also mentioned that NSU library is one of the best libraries in the country. 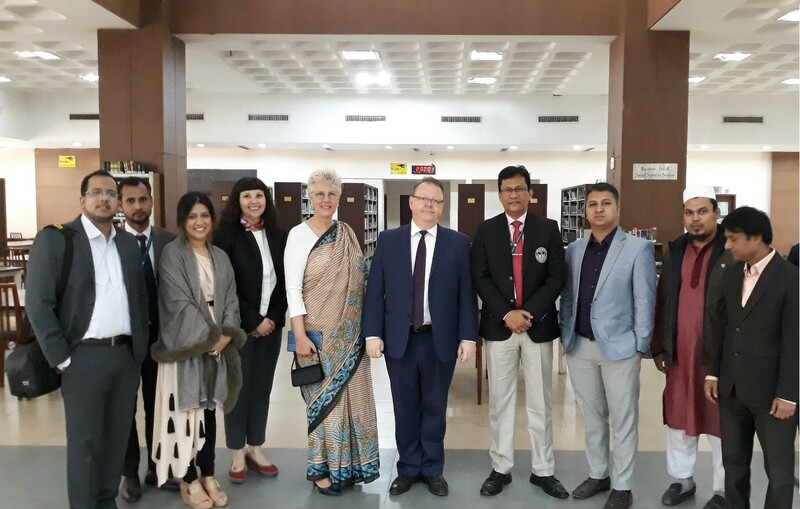 The High Commissioner stated about the education and library condition of Canada and gave a view over all the structures. 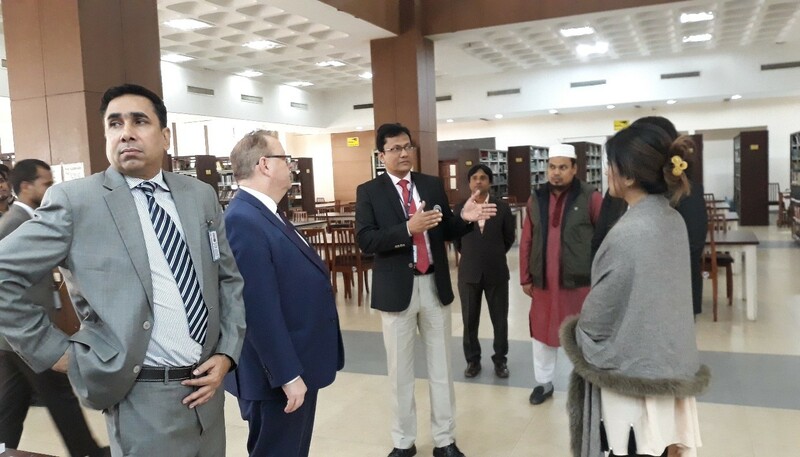 He is also very happy to see the space, system and facilities of the NSU library and also compare the various library of international level. The visitors appreciated the efforts of the NSU Library. Dr Katherine Li, Director (External Affairs) NSU, Parisa Shakur, Director (Student Affairs) NSU, other high officials of NSU were also present during this visit.